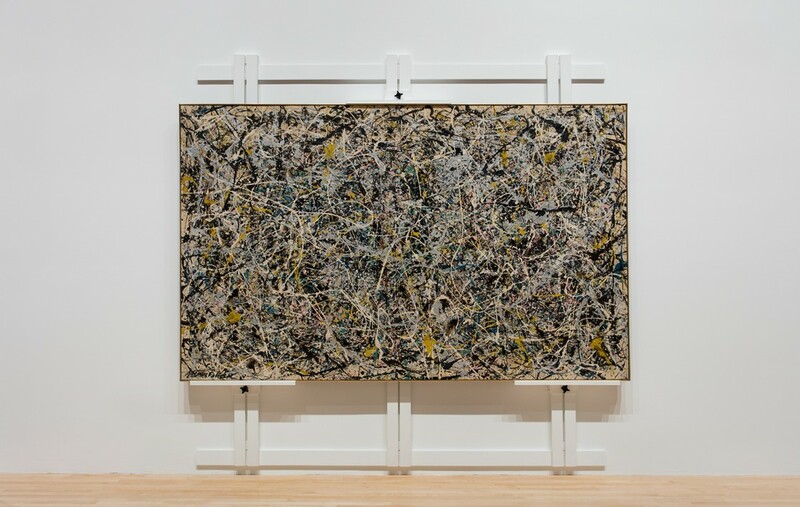 This spring The Museum of Contemporary Art, Los Angeles (MOCA), will conduct a thorough conservation of Jackson Pollock’s abstract expressionist painting Number 1, 1949 (1949), a treasure of MOCA’s collection since it was donated to the museum in 1989 by Rita Schreiber in loving memory of her husband, Taft Schreiber. 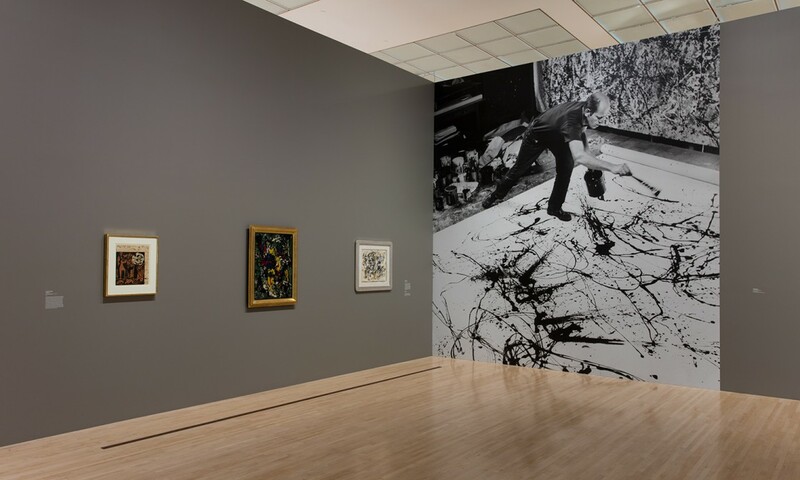 Over the course of six months, the painting will undergo a significant conservation treatment, to be conducted publicly in MOCA’s Grand Avenue galleries. Working in collaboration with the Getty Conservation Institute (GCI), a paintings conservator will work on-site to clean the surface of the painting, revealing brighter whites, more brilliant metallics, and a cleaner canvas, ultimately allowing viewers to see the painting in a condition much closer to how it appeared originally. On select dates, the conservator will perform the conservation treatment during open hours, answering questions from the public about the protocols and processes of modern art conservation. 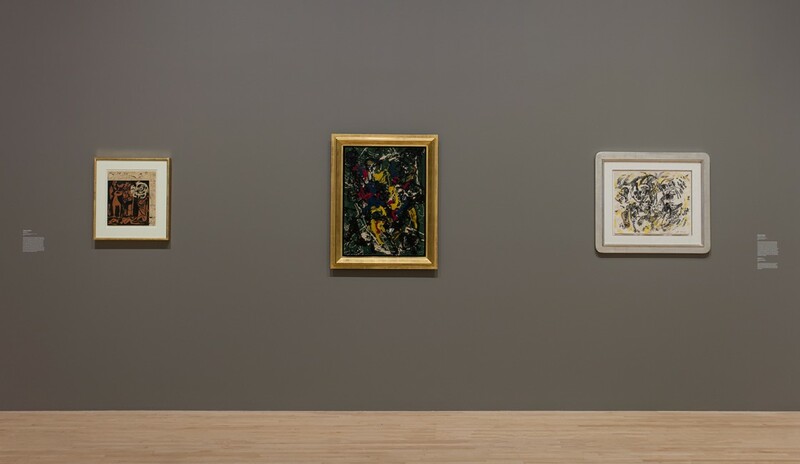 Three works by Pollock from MOCA’s permanent collection, dating from 1943 to 1951, will also be on view, exemplifying a range of materials from watercolor to collage. 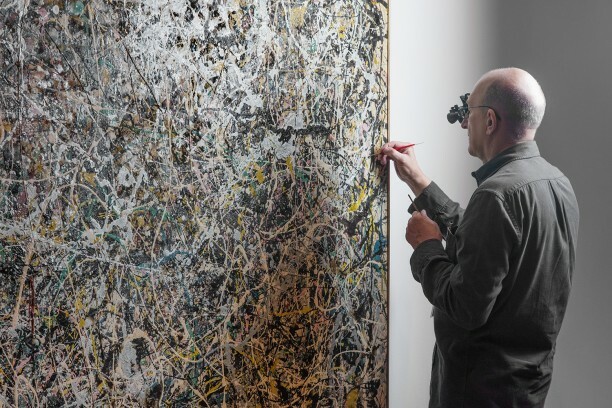 Additionally, the exhibition will also include photographic and video documentation of Pollock’s iconic method of pouring paint from cans and flinging it from the tips of sticks and brushes onto unstretched canvasses on his studio floor. 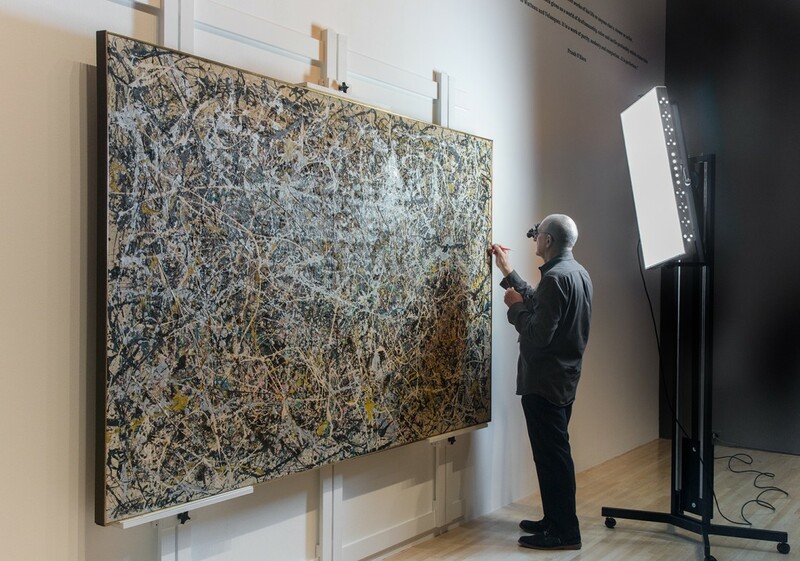 Jackson Pollock’s Number 1, 1949: A Conservation Treatment is organized by The Museum of Contemporary Art, Los Angeles, in collaboration with The Getty Conservation Institute. Generous support is provided by Friends of Heritage Preservation. 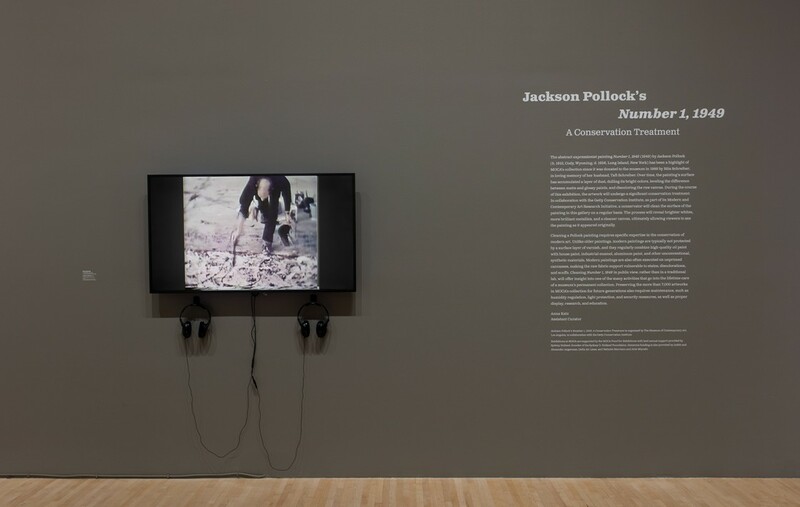 Independent conservator Chris Stavroudis will be working in-gallery on the treatment of Pollock’s Number 1, 1949 (1949) on select Thursdays, beginning March 8. He will be available for Q&A sessions with the public from 11:30am‐noon and 5:30‐6:00pm.